Flobot is designed to be easy to use and it won't take long to get up to speed. But we know that this is your business and it is precious to you. It might very well be the first integrated CRM or work-flow system that you have ever used. But to make life easier we have set up the Flobot Academy. We have built a help system with videos inside Flobot, so look out for the video symbol if you get stuck. We have an extensive Flobot support website that has the answer to almost every question and if you still need help by all means send us an email support@freshmilksoftware.com and we'll get back to you within the day. You can even give us a call on +44 (0)20 8389 1418. So, you're never alone. There really is no other software company as easy to get hold of if you need to talk. If you're a larger business that needs to map existing processes, train a product champion, teach a team of order processors for example or if you have some bespoke requirements then call us on +44 (0)20 8389 1418 and we'll discuss them. We've been working in this industry ourselves for a long time. And we've developed some practices that have allowed us to save money and time. The software has been developed with this in mind. And we're always happy to share this knowledge with you, to enable your company to be just as successful as ours has. So, if you would like to join us and see how Flobot could transform your business, why not take a free trial, below? 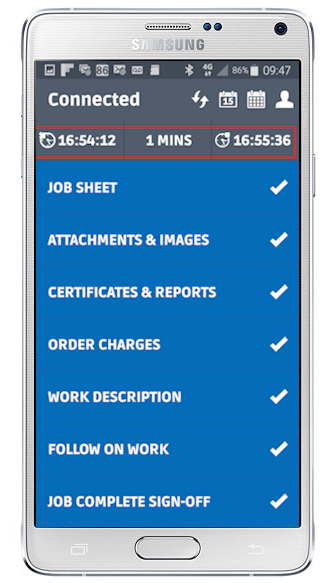 The Flobot app is designed to get your field team members, agents, engineers and tradespeople out in the field to the right job and on time. Navigate from job to job by utilizing the built in maps function. Send that information to your client and they can see where your guy is on the map with an estimate of the time of arrival - just like Uber. 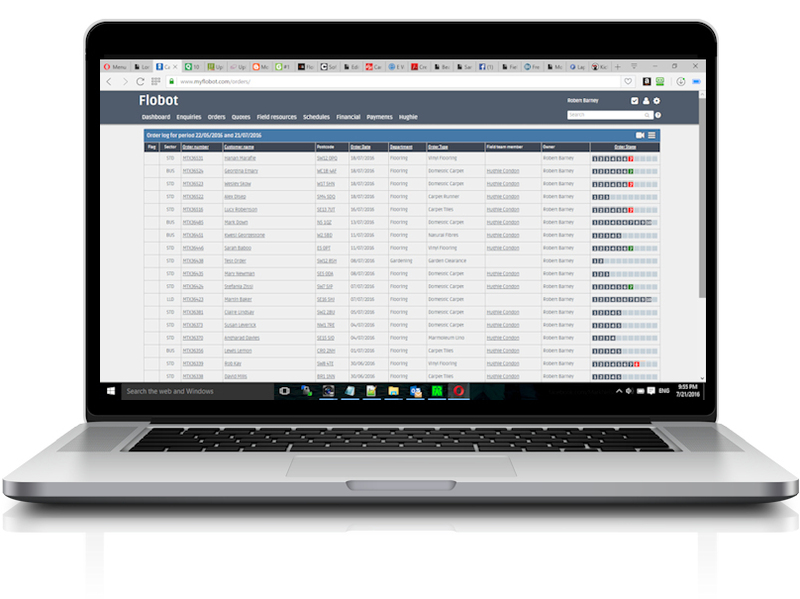 Flobot app sends all the field data back to the office so you can see where all your field members are and what they are doing at any time. Once your field team member has arrived they can check into the job so the office knows they have started work. You can bill by the hour if you want with the built in timer. But you may just want to complete, create a job sheet and attach some pictures. Attach your 3rd party apps, pdfs, certificates to the job sheet and then get the all important signature for the office so they can bill straight away - or create an invoice in the field.